Eggplants are typically large, purple and pear-shaped, but eggplants varieties can produce fruit that are glossy black, green, yellow, and even white. As annual, eggplant require 100-150 frost free days, so it is not often grown in the north. if you have a long enough season, and you can grow tomatoes, you can grow this relative of the tomato. Plant plants (not seeds) after all danger of frost has passed. Planting Depth: Seeds in pots planted 1/4 inch deep. Plant eggplants at the same depth as pot in which it was grown. Distance of plants from one another in the garden: 2 1/2 foot apart. Grow eggplants in raised beds which heat up fast in the spring. Because this plant requires a long warm growing season, in most parts of the country, either you will need to buy plants from a nursery or plant them indoors six to nine weeks before the average last frost date. The night before planting, soak seeds overnight to encourage germination. Sow the seeds one-fourth inch deep in pots filed with loose and fine potting soil. Maintain bottom heat to 80-90 degrees Fahrenheit for eight to ten days before germination. Maintain a grow light above the plants to keep them from becoming "leggy". When outside temperatures are above fifty degrees at night, begin hardening to ready them for planting outdoors. If plants become too large for the initial pot that they grew in, transplant them into larger pots until both the air and soil warm up to at least 70 degrees. Plant eggplant seedlings in raised beds to promote rapid soil warm up or keep eggplants in large container gardens. (Five gallon buckets with holes drilled in the bottom are a good container size for this plant.) In the garden, plant them about 3 feet apart in every direction. Water planting hole well, and sprinkle kelp powder into planting hole before planting eggplant. Plant eggplant to the same depth as the pot in which the eggplant was planted. Water again, dust again with kelp powder and side dress with compost. Then, cover compost immediately with mulch. 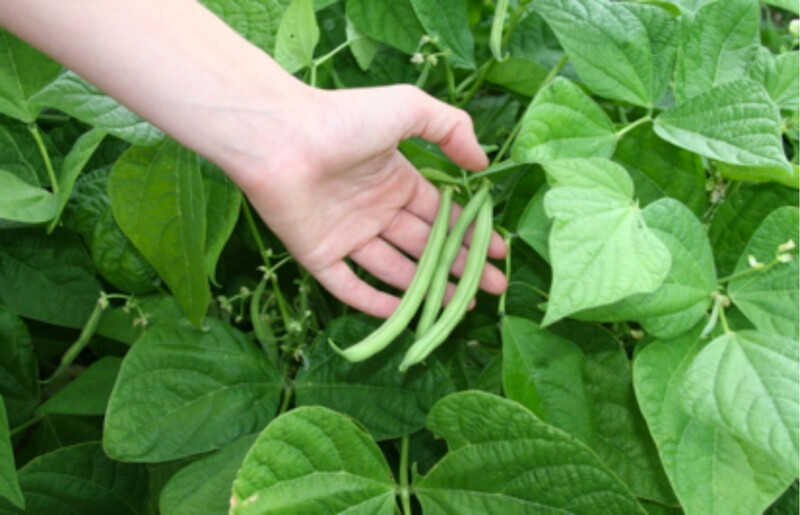 Interplant an early crop, such as lettuce or bush green beans (bush green beans provide an added benefit in that they repell the Colorado potato beetle) between eggplants. When the eggplants bloom, apply more compost. 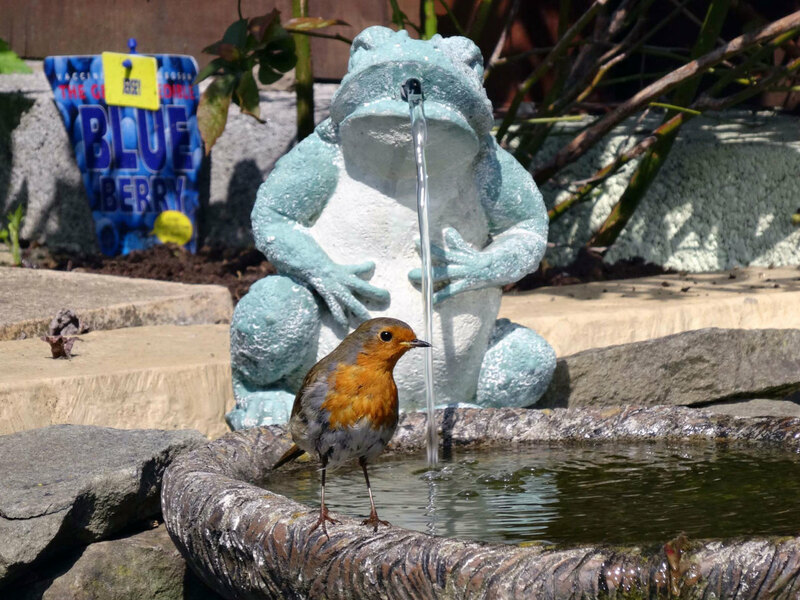 Maintain an inch to an inch and a half of water a week either from rain or irrigation. Keep most weeds out to prevent competition for nutrients, however, by allowing a couple of redroot pigweed growing in the bed with the eggplant. The worst pest problem of eggplant has is the flea beetle. To prevent this problem, keep the eggplants indoors until early summer or cover with a floating row cover. Another pest are the yellow and black-striped Colorado potato beetles actually prefers eggplants to their potato relative. Handpick these beetles and their yellow eggs from the underside of plant leaves. Handpick tomato hornworms as well, or you can sprinkle dry cayenne on the eggplants when the morning dew is still on the leaves of the eggplants.. Do not however remove those covered with tiny white cocoons however because these contain parasitic offspring of the beneficial braconid wasp. Prevent disease by not planting eggplants or their relatives tomatoes, peppers, and potatoes the year prior or the year after in this same location. To harvest eggplants, pick when eggplant skins have a high gloss. To test maturity, press the skin. If the indentation does not spring back, the eggplant is ready to harvest. When the seeds have turned brown, eggplant is past its prime. Best to throw the eggplant away either to animal herbivores or the compost pile. 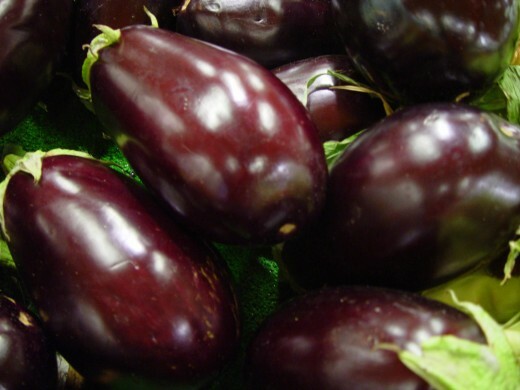 Eggplants can be stored in the refrigerator for up to two weeks. Slice thick slices of eggplant and brush with olive oil and grill on a hot outdoor grill, after turning eggplant, melt a slice of provolone over each slice. Cook eggplant, peppers, and tomatoes together with Italian seasonings to add with pasta. If I could, I would grow these wonderful veggies. I love it roasted and within a sandwich. Thanks for the information. Thanks DDE, your comment is appreciated! I am glad I was of service. Egg plants are so useful in cooking and with many recipes I enjoy eating this unique vegetable very much. Last season we did not get much from our plants. This was a very helpful hub. I am glad to help, rebeccamealey! Thanks Bill! You too! Have a great week of writing! I've never grown them, Donna, so thanks for the idea and information. Have a great day my friend. I have never even thought about growing eggplant. Thanks for a good idea. I have also been meaning to try the egg plant lasagna recipe. Another reminder, Thanks!